I’m so excited. I finally received the new propeller from Campbell Sailor. I used to have a 2 blade prop and from what I read online, this 3 blade should give me better power when getting in and out of the dock. I have read that some people have found less prop walk as well but I am doubtful of that. Can’t wait to give this a try. It looks pretty good too. Update: After using the new propellor, I have to say I am very happy with it. It definitely has more power at low RPMS. I like that as any miss-alignment in my engine would cause vibration rattle at high rpms. I can now putter around at lower speeds and really moves my boat around much better than my old 2 blade prop. I feel like I can throw the boat in reverse quicker too to stop the boat when coming into the dock. As for prop walk, the primary reason I wanted this propellor. I think it is better. I still have it though but with this prop I feel I have more control. I learned to give a powerful burst in reverse to get the boat moving and bring it back to idle. While the boat starts moving through the water it takes a moment for the rudder to bite and I get control. I would then continue to add new bursts to keep the momentum going. 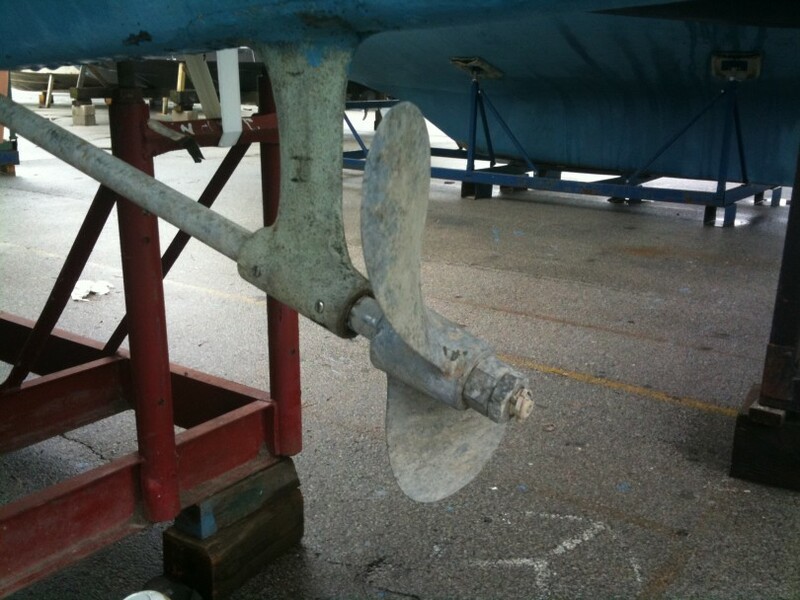 Just for the sake of completeness, here is the original propellor I was using. It looks a bit rusty from years of use. 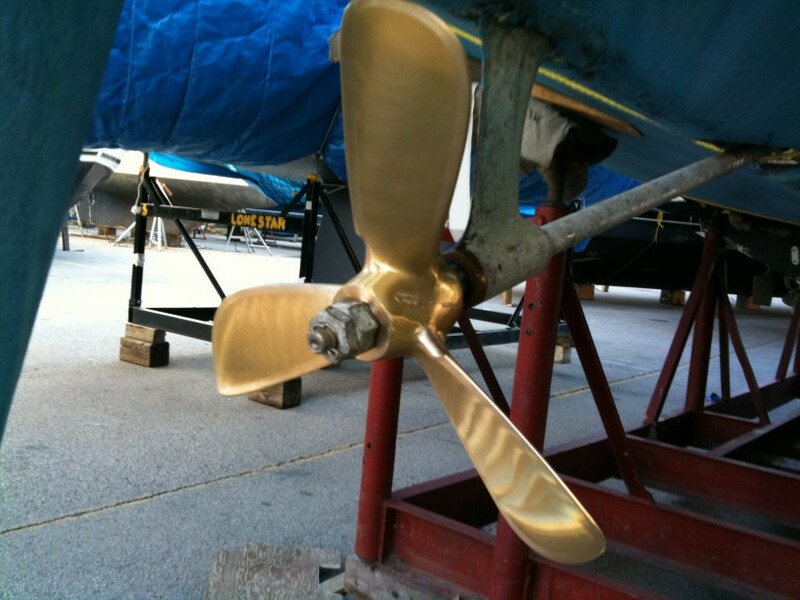 Original 2 blade propellor. Lots of prop walk with this. When removing your propellor, you may find it difficult to get off. Years of salt or marine life has wedged in the gaps makes it a real beast to remove. You may be tempted to just hit it with a hammer but then you risk the chance of bending the prop shaft. Thats when you get one of these devices. 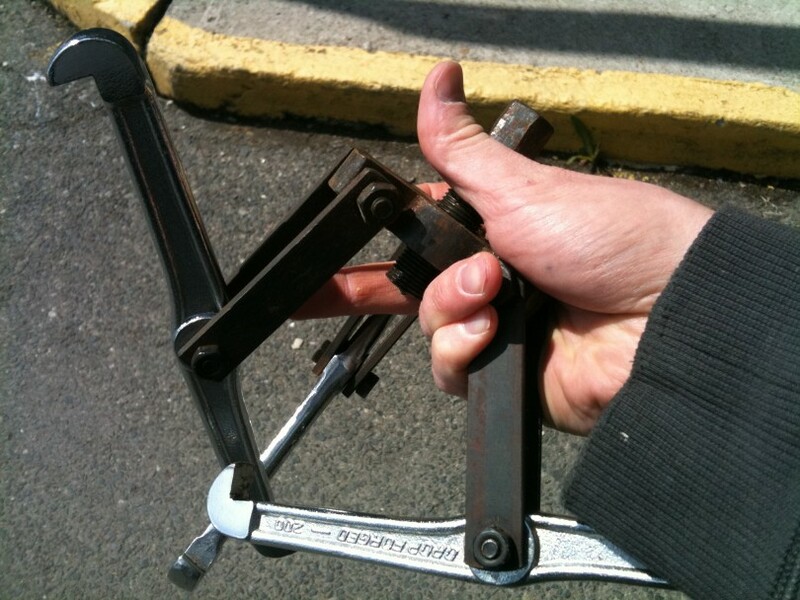 Be warned, as you tighten the prop puller, when it does decide to give, it could be a violent motion so always keep clear in case it does.